Beautifully renovated Historic Flat Rock High School Gym boasts the unique luxury condominiums of Charleston Garden at Flat Rock. 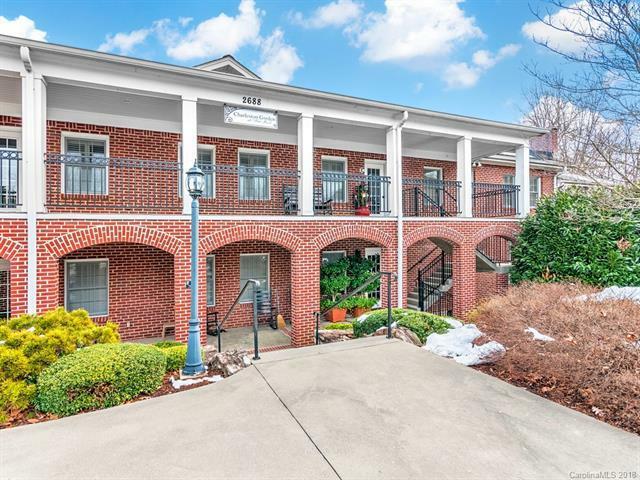 Craftmanship abounds in the spacious 3BR/3BA unit featuring hardwood floors throughout, ceramic tile in bathrooms, granite countertops in kitchen & baths, exposed original rafters of the old gym, 14x6 personal balcony overlooks the garden, walk to all Flat Rock Village. Unit E, upper level with just a few steps up to the entrance of this unit.